Meet Sukie Southern – soft-sand runner and new-found mountaineering enthusiast! 25 May Meet Sukie Southern – soft-sand runner and new-found mountaineering enthusiast! Joe was Sukie’s mentor back when she was undertaking her FIA Personal Training course in 2004 and helped her with the practical side of things as she entered the fitness industry. She found that his passion for all things fitness rubbed off on her, and eventually, when she was ready to jump out of her strength and conditioning comfort zone, joined Joe’s Basecamp! And we are so glad that she did! Sukie specialises in beach sprinting – a much tougher version of your average road sprint that builds strength and boosts your metabolism! 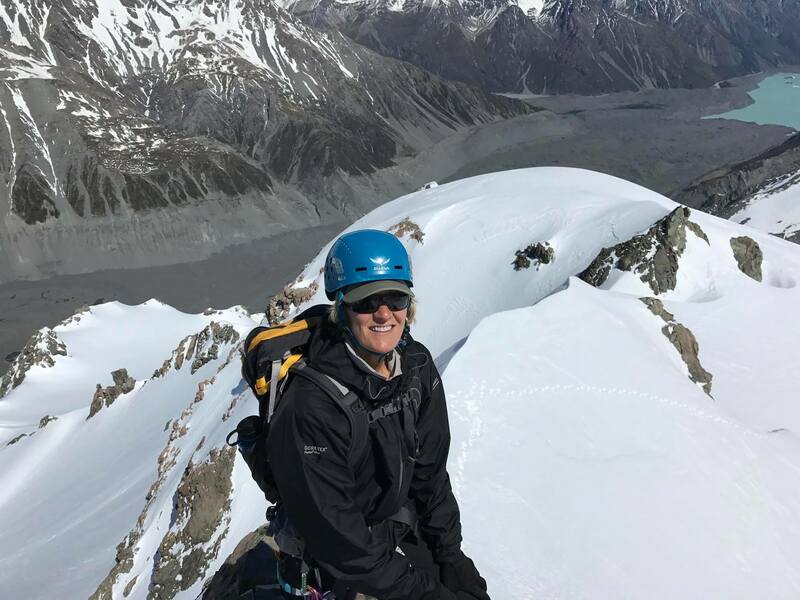 She is currently training for the World Titles in Adelaide next year, but that’s not all… Having heard so much about mountaineering through JBC, Sukie was intrigued to find out what all the fuss was about and signed up for a mountaineering instruction course in New Zealand last year. “It was absolutely amazing” she says, “The mountaineering bug has truly bitten!” Sukie is now planning on returning to New Zealand to climb Mount Aspiring in November. She has also cycled from Kenya to Tanzania and through the mountains of Kyrgyzstan, as well as mountain climbing in Aoraki/Mount Cook National Park. “The environment nurtures my adventurous spirit. Being surrounded by like-minded people just spurs you on to do bigger and better things” she says. “Joe’s Basecamp ‘normalises’ the extraordinary. Being able to trust the trainers, their knowledge and the programs they write for me are crucial.” Sukie has on her bucket list to climb a previously unclimbed (“virgin”) peak and says that her mantra in life is to give anything you attempt your best shot, be comfortable with uncertainty and embrace challenges as opportunities. When was the last time you did something for the first time?